The Christmas Boiled Lollies Small Bucket is a long lasting product that will make your brand pop over and over. Everybody loves lollies, and what better gift to give your staff this Christmas than something you know they’ll really like. 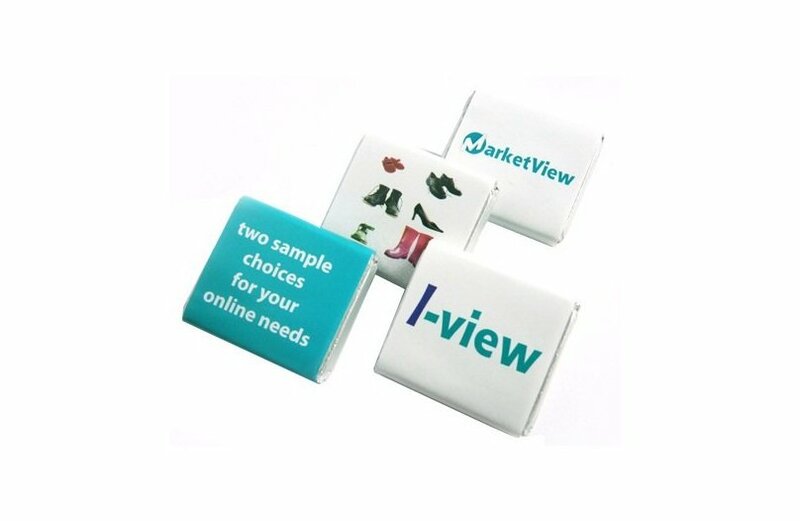 So save yourself from the guesswork and just give them the promotional Christmas Boiled Lollies Small Bucket. Boiled lollies are popular sugary sweets and usual guilty pleasures. Customise a bucket with your design and choice of colours and your staff will be delighted with these deliciously sweet confectioneries. Aside from the candies inside, another thing you would appreciate is the confectionery bucket container. The bucket that’s 70mm (w) x 70mm (h) is made with a see-through PVC material. The see-through feature makes presentation a lot more fun as you can choose the colours of the lollies and have them displayed while gorgeously stuffed inside. You can cram up to 120 grams of lollies in the colour of your choice. And to promote your company event, simply print your design on the full colour 50mm (w) x 40mm (h) sticker which will be placed on the body. You can also have a custom printed sticker right on lid which is 38mm (diameter). You can have the personalised Christmas Boiled Lollies Small Bucket given as a surprise by putting them on your staff’s respective desks for them to see in the morning, or you can also put them under your office Christmas tree for the taking. Great alternatives to the delicious low priced Christmas Boiled Lollies Small Bucket would be the branded Christmas Chocolates Tube and or the custom Large 15 gram Candy Canes. All our products are meant to give you the best value for money while keeping up with high quality. Need a gift for the team? 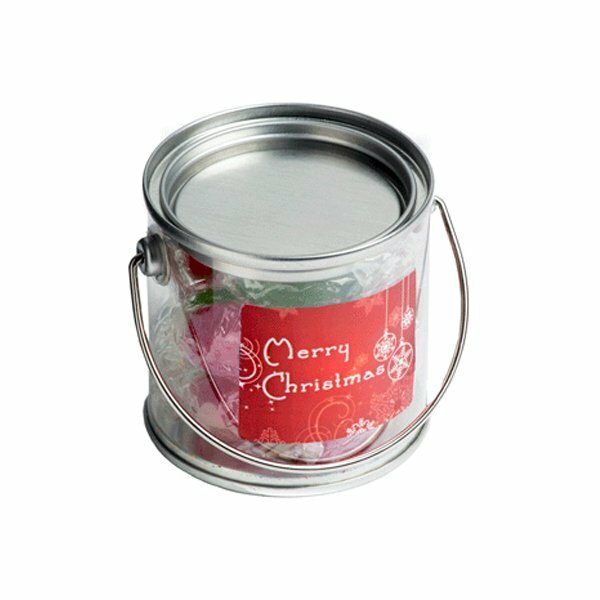 Our branded Christmas Boiled Lollies Small Bucket is a great way to show your appreciation to those who matter most. For more giveaway ideas, check our colourful Five Panel Camouflage Mesh Caps, and our other customizable headwear! 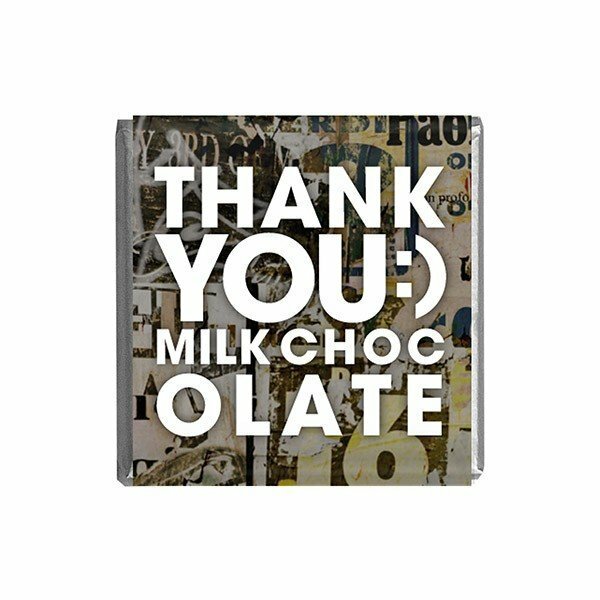 Keep browsing our online confectionery site, and if you feel the need to ask us questions, you can send us a message using our chat application which you should be able to find right at this screen. Or we can go talk via phone through 1300 008 300.